Col. Mengistu Hailemariam, arguably one of the most viciously repressive national leaders the world had ever seen, is still on the loose, alive and kicking, in Zimbabwe. He is being protected by another repressive African leader named Robert Mugabe whose country’s inflation rate now stands at more than 6,500%. 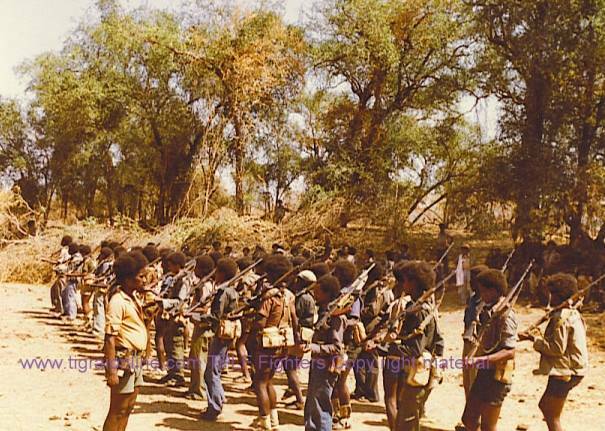 It is needless to mention that Mengistu robbed Ethiopian coffers and fled with several million dollars in 1991. Therefore he is immune to the hardships that the people of Zimbabwe are facing under President Robert Mugabe. Not bad for a hitherto bum and drunk who partied the night away in Dire Dawa and Harar in his heydays. Many of us have a feeling that Col. Mengistu must be chuckling to death by the activities of Vocal Diaspora CUD which is doing the dirty work for him. Col. Mengistu must be proud of his ex-Minister of Agriculture (Eng. Hailu Shawel) and the younger recruits who are actively promoting DERG’s agenda in efforts to return the Fascist Regime to power. Mengistu is slightly younger (seventy-one years old) than Eng. Hailu who is at least seventy-three years old. Ethiopians everywhere must stay vigilant in their struggle to protect their newly found power and prevent another catastrophe. The EPRDF Government has to communicate much better with the Ethiopian people at home and abroad, on the perils that they would face if the DERG/Vocal CUD/Neftegna coalition ascends to power. Ethiopians must protect their evolving young and precious Democracy diligently. The Ethiopian people are capable of fighting against the politics of hate. The coward Col. Mengistu Hailemariam must be repatriated to Ethiopia and serve his life sentence along with the rest of his other compatriots. I say no more pardons to those who have been convicted for atrocities against the Ethiopian people. Col. Mengistu must face the music of justice. EPRDF must renew its effort to return Col. Mengistu Hailemariam home.